Get reliable, high-speed scanning for complex projects – this scanner can handle 3,000 sheets per day. Scan both sides of the page at up to 50 images (25 pages) per minute.1 HP EveryPage helps avoid misfeeds and simplifies your workflow. 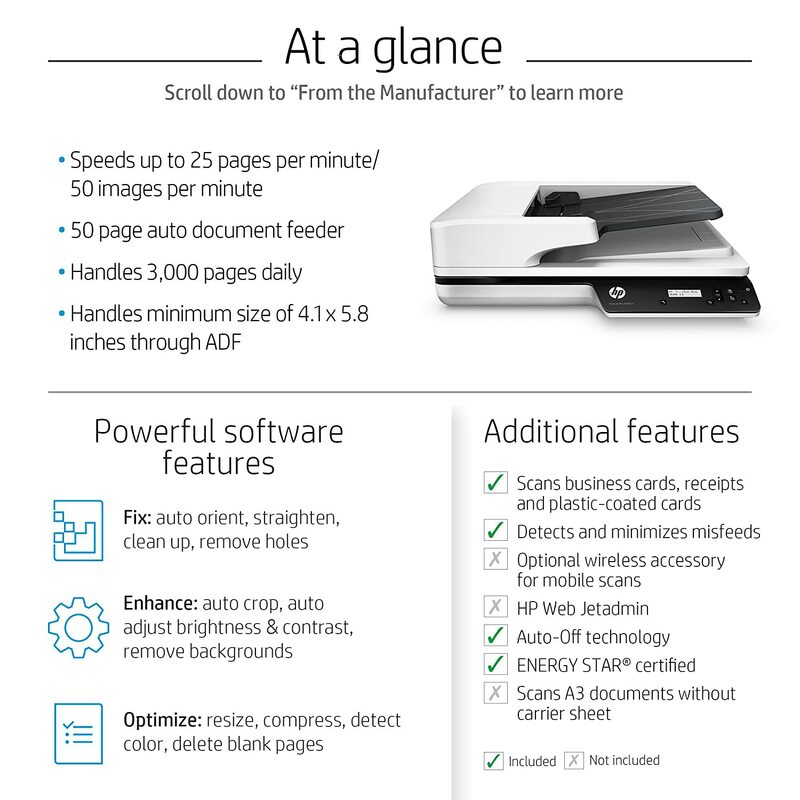 Capture every page easily – even for stacks of mixed media – with HP EveryPage and an ultrasonic sensor.